Facial hair is an awesome form of self-expression. Knowing how to style a mustache is a useful skill that will give you more variety and make your appearance unique. The handlebar mustache is particularly distinctive. It’s instantly recognizable by its long ends, which often curl up. This style has been popular throughout history, worn by kings, presidents, and a whole host of modern celebrities. The following tips and tricks will help you join the trend and make the handlebar mustache your own. Before you start thinking about how to style a mustache, you need the hair to do it first! Don’t spring for supplements right away. They’re not all created equal. Moreover, you shouldn’t treat them as a “magic bullet” for an instant, full growth of facial hair. Instead, lay the foundation with a healthy lifestyle: limit your alcohol intake and be sure to get enough sleep. Both of these techniques encourage testosterone production. Testosterone is one of the building blocks of forming a nice thick mustache. 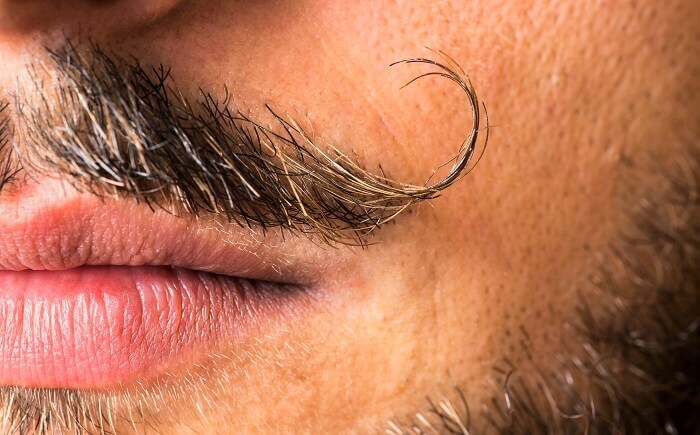 Now that your mustache is in the early stages of growth, be prepared for “beard itch.” This is the slightly uncomfortable phase where stubble begins to emerge. You might be tempted to just shave it all off. However, if you want a full ‘stache, don’t reach for the razor just yet! There are two ways to relieve beard itch. Use shampoo and conditioner, as you would with the hair on your head. The other strategy is to try an oil specifically designed for facial hair. This will soften the hair and soothe irritated skin. As you’re growing your mustache, patience is definitely required. Past the “beard itch” stage, it will take about three months to achieve something respectable. Beyond that, you’ll need to wait another three months for the mustache to look complete. Don’t worry if you start noticing that your mustache looks patchy. This can be easily addressed! Grab a brush to fluff up the volume of your mustache, and cover bald spots along the way. For extra hold, use a beard balm for a subtle “comb over” effect. You’ve waited the appropriate length of time and treated the patches. At this point, your mustache should be filling in quite nicely. A mustache comb to eliminate any tangles. 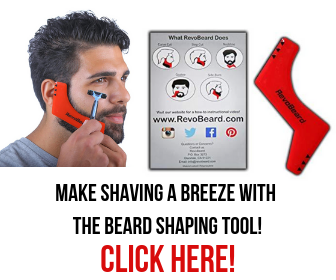 A clipper or trimmer to shape your mustache. Small scissors if you think the handlebar ends are getting too long. Mustache wax to help the handlebar stay in place. There are a couple of different ways of how to style a mustache like a handlebar. It’s important to decide the general look you want from the head start. Tom Selleck from the ’80s TV series Magnum P.I. is probably the most iconic example. He sported a distinctive, thick mustache. Not interested in going that far? Try a “petite handlebar” on for size. As the name suggests, it’s smaller, which also makes it slightly easier to maintain. Other looks include the hipster “circus ringmaster” style, where the ends of the mustache turn into thin spirals. If you’re more ambitious, you can also try combining the mustache with a full beard. Ok. So you’ve figured out how to style a mustache and know what look you’re going for. Time for the fun part! To create that ideal handlebar shape, shave vertically along the edge of your mouth. The width of the mustache should hit just past the edge of your nose. For the petite handlebar, keep the width narrower. If you plan to get fancy, use wax to make the mustache ends thin and curly. The first and most obvious tip here is: don’t shave! This keeps your mustache at an appropriate length for the handlebar. Neaten things up by training the hairs to fall in the same direction. You can do this when your mustache is wet from the shower. Comb it carefully outwards. Over time, the hair will respond. When this happens, keep them trained with wax and daily combing your mustache. You don’t need to be aggressive when you comb. Use small, even strokes on each side, moving downwards. This way, you won’t tug at your skin or rip out any hair. It’s an especially good idea to comb out your ‘stache before and after meals to keep the hair away from your mouth. Opinions differ on how often you should wash your mustache. Some say three times a week, while other men wash theirs every day. Regardless of which routine you choose, don’t neglect the skin under your mustache! Just use a regular facial cleanser for that. (This prevents clogged pores and flaky skin, which don’t just itch, but also impact healthy hair growth.) Then apply either a conditioner or beard oil to the mustache itself to keep the hair healthy. Don’t overdo it on the hair product, though. About a nickel-size amount should be enough. Now you’ve mastered how to style a mustache! Growing it out takes time and commitment, plus you’ll need to invest in tools to keep it looking good. However, the aesthetic is definitely worth it: the handlebar mustache is the epitome of manliness. 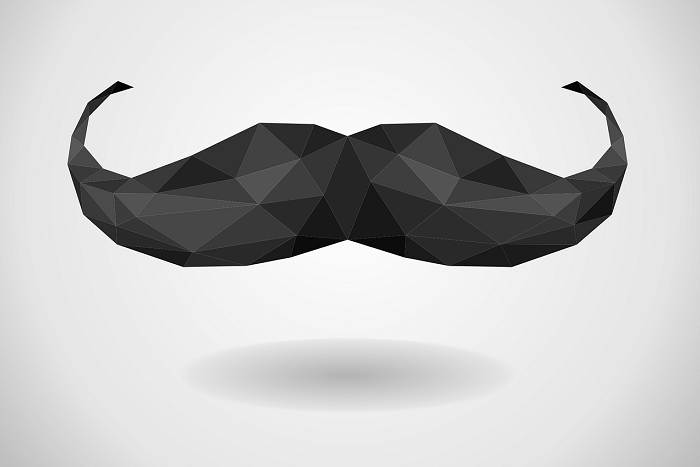 Share your own experience with this iconic facial hair in the comments below. Next story Colonel Conk Shaving Soap Review – What’s So Good About It?